UPDATE: A New York judge on Friday, December 23, suspended the attorney and accountant for the late heiress Huguette Clark, citing “shocking” evidence of tax fraud that allowed her estate to run up a $90 million IRS bill for unpaid gift taxes and penalties, according to MSNBC.com reporter Bill Dedman. The decision costs attorney Wallace Bock and accountant Irving Kamsler about $8 million that each would have earned as an executor. The remaining executor will try to recover at least a $5 million check Bock wrote to Clark’s longtime nurse, Hadassah Peri, part of about $26 million given her over the past 15 years, even before Clark left more than $30 million to Peri in her will, Dedman said. The attorney and accountant for the late Huguette Clark were accused this week of tax fraud that could cost her $400 million estate an estimated $50 million in IRS penalties. 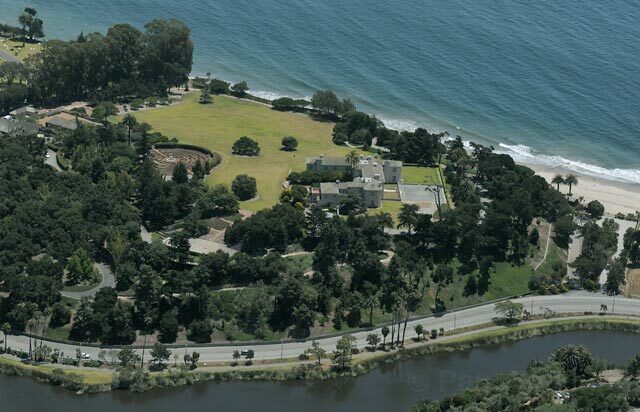 Clark’s will is already the subject of intense squabbling amongst her surviving relatives, and the heiress’s stated desire to turn her Santa Barbara waterfront estate known as Bellosguardo into a public art museum only seems increasingly unlikely. Both men have denied any wrongdoing, but the accountant, Irving Kamsler, resigned just before the New York public administrator leveled the allegations in court, according to investigative reporter Bill Dedman of MSNBC.com. See his full report here. The administrator, Ethel J.Griffin, asked the court to remove both Kamsler and attorney Wallace Bock as administrators of Clark’s estate on grounds that, as Dedman reported, “They are unfit for the execution of their office as preliminary executors, by reason of their dishonesty, improvidence, waste, and want of understanding, both while Mrs. Clark was alive and subsequent to their appointment.” The public administrator’s office also said it is investigating what it believes are other violations of trust, including improper solicitation of gifts, abuse of powers of attorney, and making gifts without authority. As executors, Bock and Kamsler would normally each earn about 2 percent of her estate, or roughly $16 million. Both are also under criminal investigation by New York officials. Clark, who died in May at 104, left an estate that included her $100 million hilltop property on East Cabrillo Boulevard that one of her wills designated as an art museum. Clark hadn’t visited the estate in decades and at the time of her death was living as a virtual recluse in a New York City hospital. However, 19 of her distant relatives have asked to intervene in the issue of the two wills Clark signed in 2005 within six weeks of one another — the first leaving most assets to them, the second cutting them out entirely and calling for the museum. • Failed to file federal gift tax returns for Clark for the years 1997 through 2003, when she made approximately $56 million in gifts to individuals. The gift tax and generation-skipping transfer (GST) tax due would have been about $41.5 million. • Charged her for filing tax returns that were not filed. • Paid only $7.5 million in estimated tax payments toward the gift tax in those years. Failed to pay the remaining $34 million during the years since, exposing her to millions in IRS interest and penalties for failure to file. • Failed to tell Clark about the unpaid taxes or possible interest and penalties, even though she had sufficient liquid assets to pay the bill in full. • Filed false returns with the IRS for the years 2004 through 2009, claiming that previous gift tax returns had been filed, and understating Clark’s current tax liabilities by more than $7 million. • Underreported and underpaid by millions her federal taxes. • Misrepresented to the IRS that returns had been filed. • Lied to the IRS, with Kamsler claiming he was unaware of a $5 million gift to Clark’s nurse, when documents show he listed that gift on a profit and loss statement seven months earlier. • Lied to the public administrator, claiming that they were searching for the gift tax returns, until the IRS disclosed that none had been filed. A hearing is scheduled on Friday, December 23, in Manhattan on the family’s request to intervene in the case, and the public administrator’s request to remove Bock and Kamsler.